Hi all. This is part one of a two part review on The Hornit. A seriously loud horn for cyclists. If you would like your own Hornit. Click the link above and order direct and use the code "confused" on checkout and it'll enable you a 20% discount! I received a package last week containing a little something for the bike. 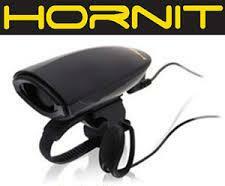 The package contained The Hornit, dubbed as "seriously loud cycle horns". I'd seen them in the past and was keen on getting my hands on one. When it arrived I was just as keen to install it and get on the school run, with time running out for a quiet unboxing video while the kids were at school, I pounced on it quickly. The hornit closely resembles a light or action camera, with one exception. It makes a bit more impact than a light in certain situations. The horn comes with a trigger to set off the horn, They've been clever here and made it removable, replaceable and hackable by using a similar type connector as the smaller round nokia charger ports, meaning you could in theory extend your Hornit to sit somewhere discrete off the bars and still fire it off on the bars easily, something I will be experimenting with in the future with a replacement fire button I've ordered. Installation is a breeze, as they provide a tiny, cute allen key, but can become a bit of a chore with larger allen keys as you'll see in the video I'm editing at the moment. Installing the trigger is easy, mine sits on the current bell clip, looped around the bell leaving it in a perfect position for using both the horn or bell where needed. Battery installation is easy too, and comes with AAA's included. We REALLY like that. The hornit is loud, in fact I'd say it's stupidly loud. It has two different settings, a single tone alert and a multi tone alert, selectable by a button on the rear of the hornit just above the trigger jack. It does get attention from road users, even if you're calling them a bloody moron. Luckily I've only had to use it in those situations twice. Due to the loudness of the hornit I also used it during the Midnight walk I was marshalling as an assistance alarm, luckily it was not needed. I'm extremely happy with it, especially with it's water resistance. It's had a darned good soaking over the last two weeks and held up well. For the size and price it's not a bad option for the cyclist who rides daily and would like a bit more protection out there. In part two I'll be uploading more videos and images, including a Horn off, The Traffic Droid's Droid Horn Vs the Hornit, demonstrating the Hornit's loudness on the Sewell Greenway, (Due to the volume of the Hornit I'll be filming out of town as it's out of the way and away from disturbing people unnecessarily) and if my new camera mount turns up, some footage of the hornit in use on the roads of Dunstable. My full verdict on the Hornit will come in part two next week. What do you think of the Hornit so far? Again If you would like your own Hornit. Click here and order direct. If you use the code "confused" on checkout and it'll enable you a 20% discount! How about connecting two of these to a single trigger? Any ideas how? I'll add a schematic for you tomorrow in a seperate post It's possible but remember it could void warranties. Sooo, any updates on that schematic? For the life of me, I can't find a splitter that small. PS sorry if this is a repeated post but I don't think the first one went through. Hi Dimitris. Apologies on the delay to sort this, I've had it here on the pc for a few weeks and forgot to share with you.